Too bad they couldn't make it a slow, painful death... like being eaten alive by hungry pigs. 13 July 2018 Bangkok Post. The Appeal Court on Friday upheld the death sentence for a Spanish man convicted of murdering and dismembering the body of a fellow Spaniard two years ago. Artur Segarra Princep, 38, was given the death penalty by the Criminal Court last year. He was convicted of the premeditated murder of David Bernat, 41, kidnapping, body concealment, torture and theft. 16 July 2018 Bangkok Post. 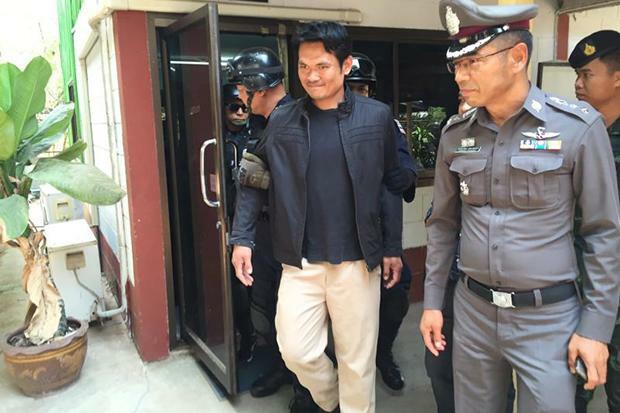 PATTANI: The provincial court has sentenced Ibrohem Sungaibaru, 28, to death for the slaying of seven people and injuries to eight others in a series of ambushes in the southern border province about five years ago. Death row Australian: Antonio Bagnato, 28. In February 2017 a Thai court sentenced Australian Antonio Bagnato to death for the kidnap and murder of a Hells Angels bikie and alleged drug smuggler, Wayne Schneider. Bagnato was also wanted in Australia in relation to the 2014 murder of Bradley Dillion. Bagnato was found guilty of murder, deprivation of liberty and disposing of a body. Figures provided by the Ministry of Justice in March 2018 state that 510 people, including 94 women, were on death row of whom 193 had exhausted all final appeals. Last edited by Hatari; 18th July 2018 at 15:59. All times are GMT +10. The time now is 11:51.